There is a very deep division right now in the Democratic Party, one that has the potential to fracture and split the Party after next year’s election. And that’s not necessarily a bad thing. The supporters of Senator Bernie Sanders have been accused of being anti-women because they won’t support former Secretary of State Hillary Clinton. This is a lazy charge and one that holds absolutely no merit. The Sanders supporters understand that the last 7 years of Obama have been a disappointment. We were lured to the polls with promises of HOPE and CHANGE, and instead we got another president that is too willing to bow to the interests of Wall Street instead of Main Street; a President who refused to take on Big Pharma and make life-saving drugs affordable for everyone; A President that has allowed the oil industry to drill at a record pace on American soil as the planet continues to suffer the effects of climate change. Those who support Bernie over Hillary want to see real change – a change from the status quo of American politics where we get lofty promises by a politician only to see their true colors come through once they move into the White House. They want to see the Democratic establishment – the politicians running the DNC – separate themselves from the Republican leadership. Right now, the two are almost indistinguishable. 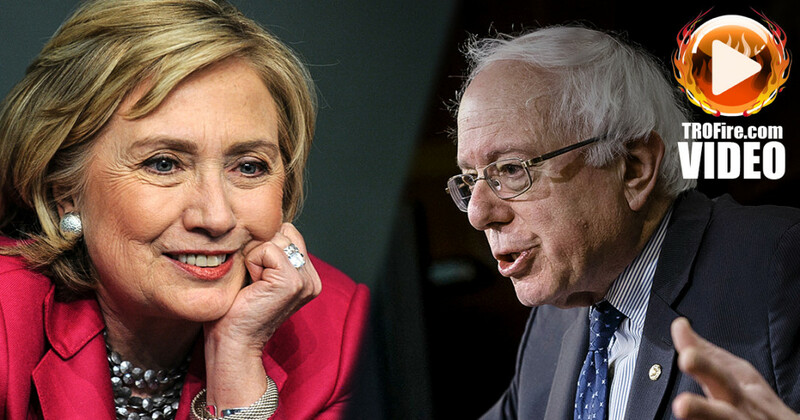 They both favor more war in the Middle East because they know it will help boost the profits of defense contractors – the same defense contractors who will pour millions of dollars into campaign funds to any candidate that will keep them afloat. Hillary will do that, Bernie won’t. The DNC has tried everything to keep Bernie out of the mainstream so they can anoint Hillary at the convention next summer. They’ve limited the number of debates, and scheduled most of these debates on weekend nights when they know most Americans won’t be tuning in. The corporate controlled media has devoted less airtime to Bernie Sanders than Clinton by a factor of about 5. This is not what the American public wanted, but this is exactly what the DNC wanted. If you have any doubt then just look at the leadership of the DNC. It is packed with former members of Bill Clinton’s cabinet and former members of Hillary’s 2008 campaign. These are people that have spent their lives working for the Clinton family, and now they want their rewards for being loyal servants. A Hillary presidency will give them those rewards. It doesn’t have to be that way. The 2016 election shouldn’t be a “lesser of two evils” election. Progressives will revolt, and they absolutely should. The system on both sides is too corrupt, and maybe it’s time for a viable Third Party, or even Fourth Party, to emerge to challenge the system. The irony is that we already have a candidate who challenges everything that the pro-corporate establishment stands for – Senator Bernie Sanders. He’s the only candidate running for president right now that has solid support from both young voters and who’s pulling support from both sides of the political aisle. Bernie Sanders has truly united formerly bitter enemies who believe that the system is rigged to favor the already wealthy and powerful – People who want to see the power of our democracy returned to the public. Hillary will likely win the nomination, and that’s unfortunate because it her candidacy is going to unite the Republican Party – the racists, the corporatists, and the evangelicals – to come out to the polls in droves in 2016 to defeat her. That wave of Republican voters will also lead to a sweep in both the House and Senate, and will shape the Supreme Court for the next 20 to 30 years. The only plus side is that it could destroy the Democratic Party as we know it resulting in a new political party that actually cares about what the American voters are saying.